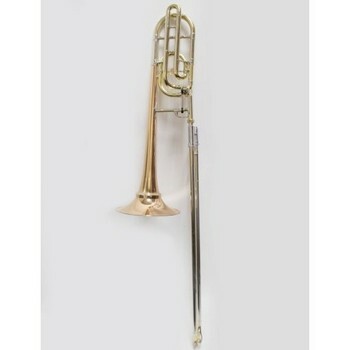 This used Holton Trombone is in good cosmetic and playing condition. This trombone features a detachable bell. It has had an ultrasonic cleaning and slide service by our instrument repair department. It includes a case and mouthpiece.